Valenza based, award-winning Italian jewelry brand PICCHIOTTI will expand its U.S. team effective February 1st with the addition of former retail executive Mark A. Mazzarese. Building upon the success of its patent-pending XpandableÃ” Collection and its one-of-a-kind gemstone classics, PICCHIOTTI will commence its 52nd year in business with the addition of a second U.S. sales representative. Mazzarese will join U.S. Chief Agent Barry Meyrowitz to help extend the PICCHIOTTI presence across North America. Mazzarese comes to PICCHIOTTI with a life-long history of excellence and passion in the fine jewelry industry. A nationally recognized retail jewelry executive, he served as President of Mazzarese Fine Jewelry in Kansas City from 1998 to 2017. He has also served on the boards of such prestigious organizations as the FBI Citizens Academy and the Kansas City Zoo. He is a member of the Centurion Leadership Program of the Kansas City Chamber of Commerce and the Leawood Chamber of Commerce. 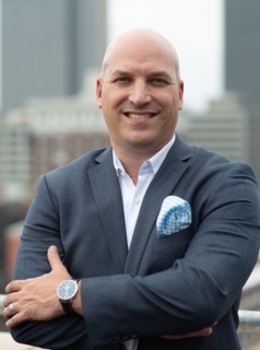 Mark will bring a unique customer-service and retail-oriented approach to his work with PICCHIOTTI and will take responsibility for the western portion of North America. Mazzarese is a graduate of the University of Kansas and an alumnus of the Sigma Chi Fraternity.